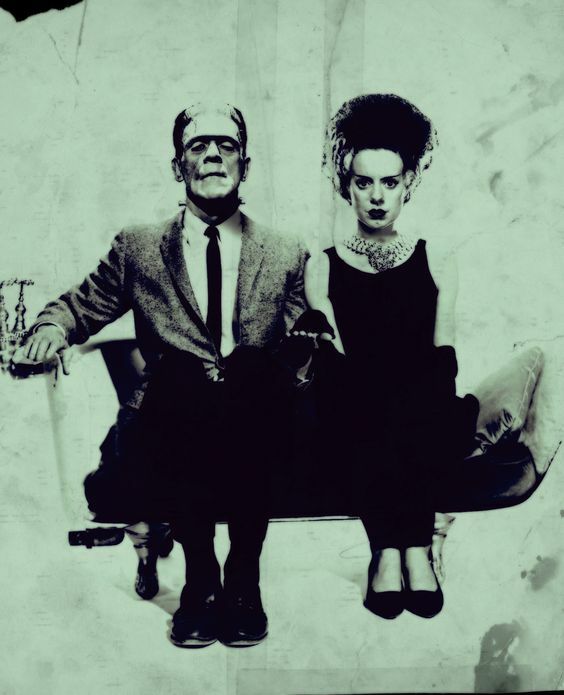 The Bride of Frankenstein, as all classic horror and monster fans know, is the 1935 sequel to Frankenstein, directed by James Whale and starring an ethereal Elsa Lanchester in dual roles as the Bride and Mary Shelley, and Boris Karloff as the Monster. Why? Because the Monster demanded a mate! 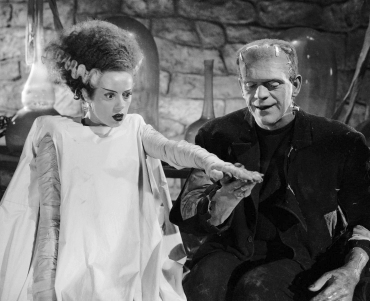 The Bride of Frankenstein, as all classic horror and monster fans know, is the 1935 sequel to Frankenstein, directed by James Whale and starring an ethereal Elsa Lanchester in dual roles as the Bride and Mary Shelley, and Boris Karloff as the Monster. Why? Because the Monster demanded a mate! The aching humanity of the Frankenstein monster, misunderstood and maligned by mankind, at war with himself, reached even more profound poignancy in Bride. 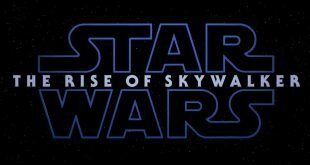 The benighted, child-like creature became more self-aware, more able to form concepts, verbalize, and pick up on social cues (not that they were particularly subtle with everyone screaming at the sight of him, but still). Why shouldn’t he have the companionship and succor of a life partner — er, post-life partner? 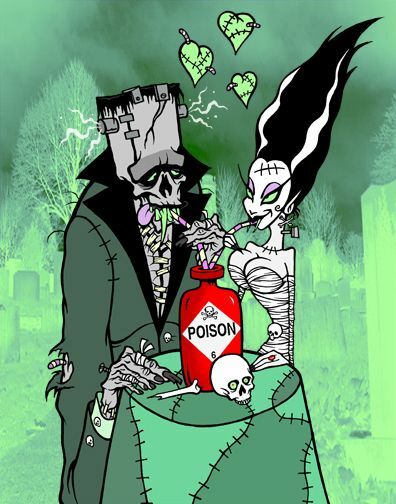 reanimate partner? — just because he was assembled from corpse parts and jolted to life? Like everyone else, he longed to be loved, even if he didn’t know his own strength. 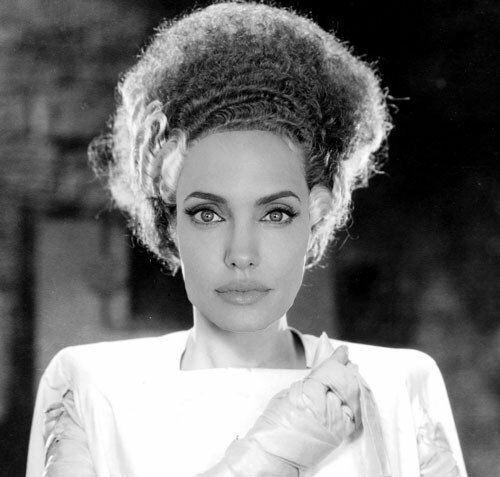 Now, with the classic Universal monster reboot underway, word has come down that Universal wants Angelina Jolie to play the iconic Bride in a remake. Jolie seems capable of the combination of fragility, beauty, and alien strangeness that made Lanchester’s performance so iconic. But the Bride has become a towering cultural figure, transcending any given performance even such an indelible performance as Lanchester’s. Why? 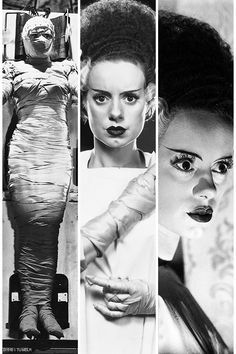 The Bride of Frankenstein is literally a blank slate, albeit one that is fully grown and sexually mature. She is an Eve-like archetypal female figure who has been taken in every imaginable direction by artists and wags. She seems particularly amenable to femme fatale imagery, driving men insane with feminine wiles that she didn’t ask for, doesn’t necessarily understand, but is willing to use in a world where women need every advantage they can muster. She is also held as an exemplar of loving female companionship, paired happily and seductively forever with the Monster for whom she was created. 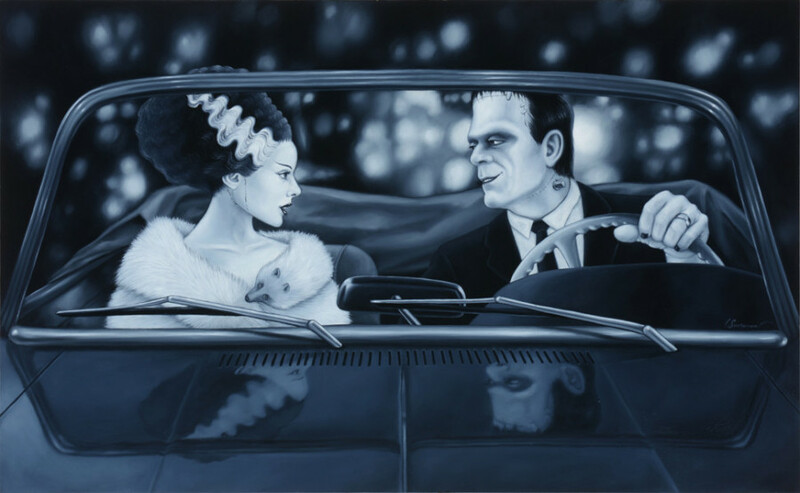 This is a grand irony, for in the film she rejects the monster, screeching in horror at the trembling, beseeching wreck presented to her, a ghastly parody of an arranged marriage. Let’s take a look at the happy couple. 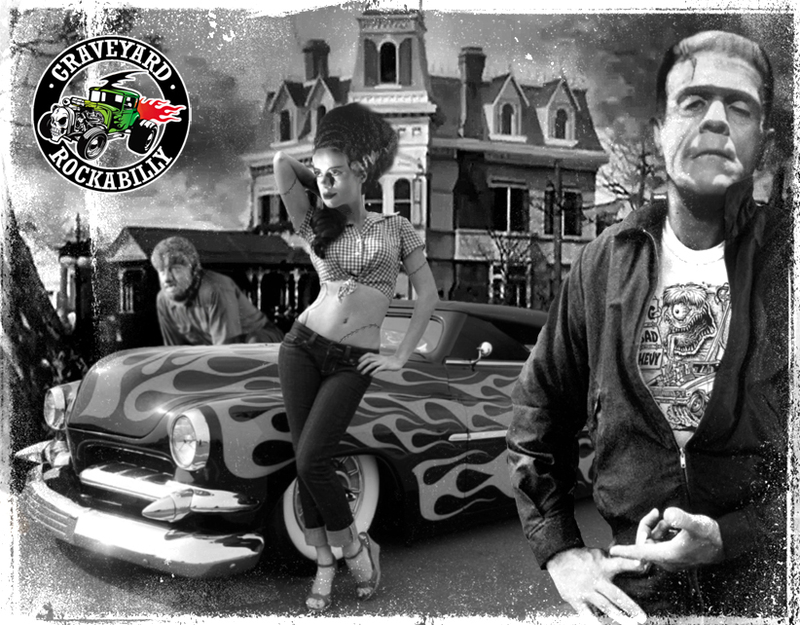 Classic monsters are so rockabilly. But they’re also so Janet Jackson-album cover bold. “I’ll take care of those things for you,” says Frankie. Speaking of Frankie, here he is with Annette. They look right at home breakfasting at Tiffany’s. Or a simple romantic lunch at a neighborhood cafe. Or this fetching image with Frank waiting to give his bride a charge. Isabel Samaras gives us an dreamy night on the town – they clean up nicely. And while they’re dressed up, they might as well pose for Vogue. Daniel Mercer has a sly Bride and a distracted Frank ready for a holiday jolt. 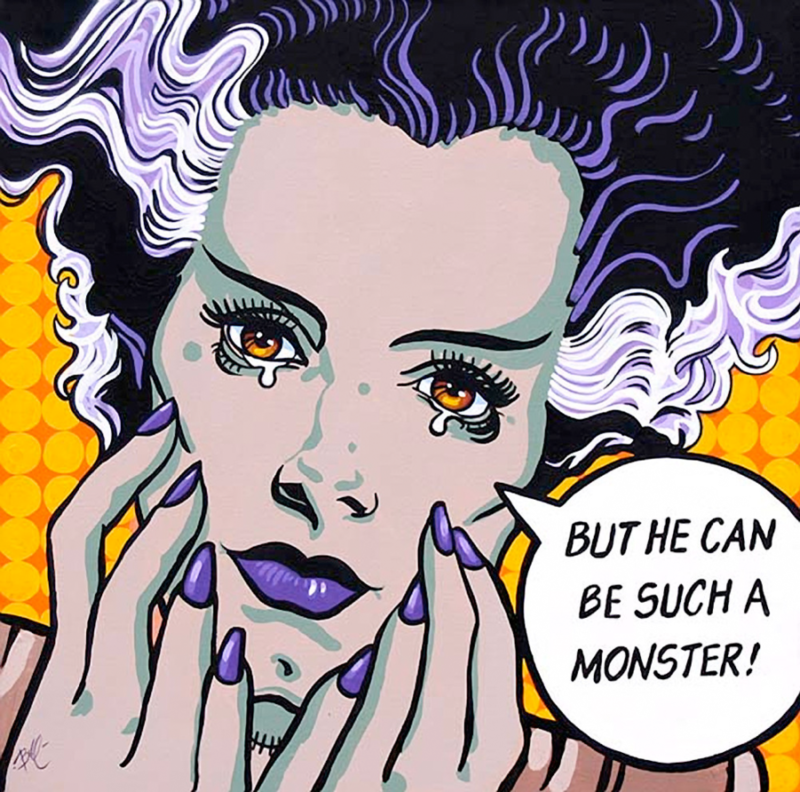 But perhaps the many moods of the Bride of Frankenstein are expressed solo, such as this bittersweet confession by way of Mike Bell. 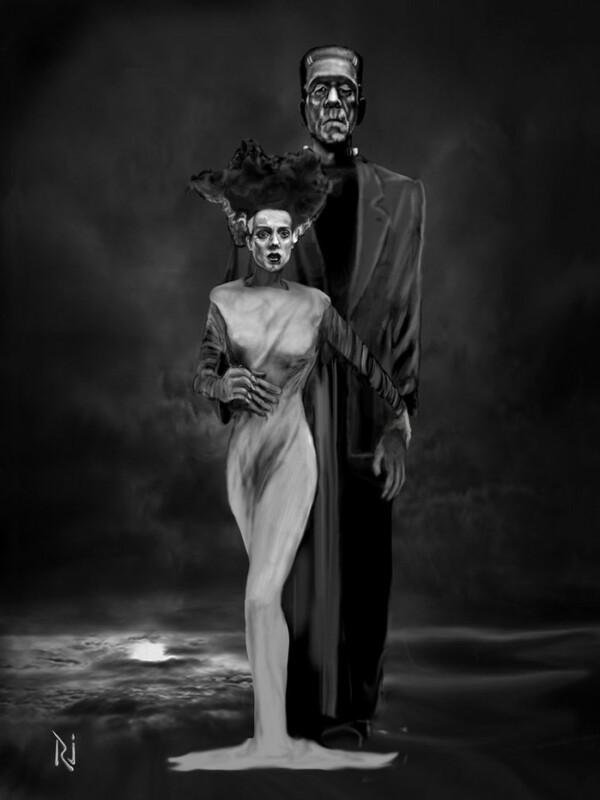 Or this painfully realistic take on The Bride of Frankenstein film ending from Marcus Allen Smith. Maybe the Bride is a really bad girl at heart, as Marcus Jones appears to believe. Or a hot tamale temptress as in this valentine from Amy Marie. 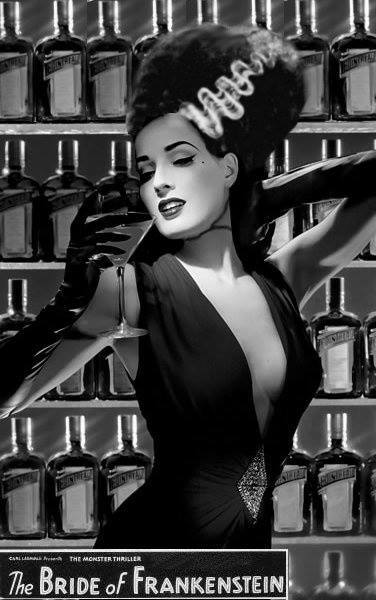 Or in this pose by burlesque queen Dita Von Teese. Or this “Classic Horror Beauty” pose by Andrew Tarusov. 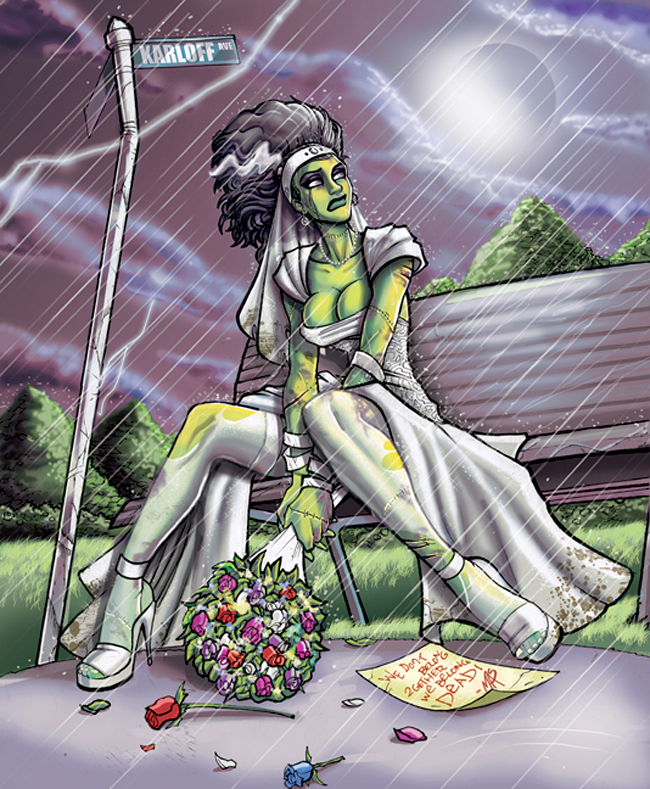 The Bride seems to be coming to terms with existence while a laconic Frank looks on as envisioned by AshcanAllstars. 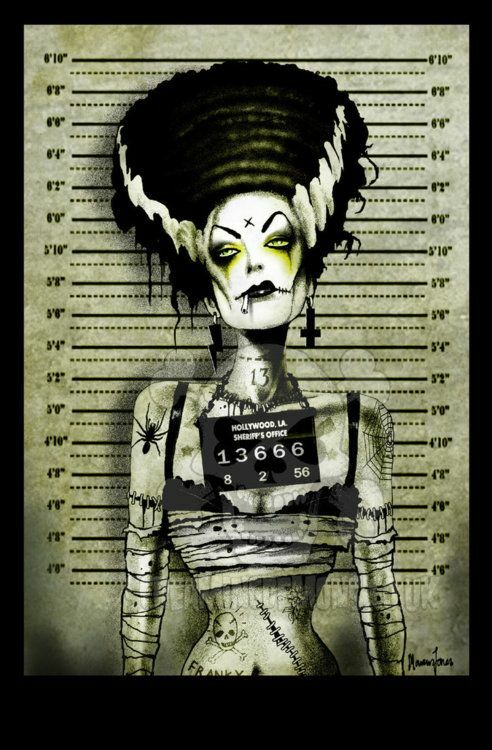 The Bride of Frankenstein can be found most anywhere doing most anything – she is woman, hear her shriek. 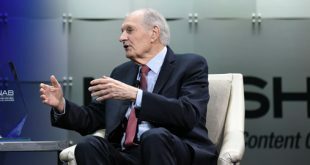 Love this article, Eric. 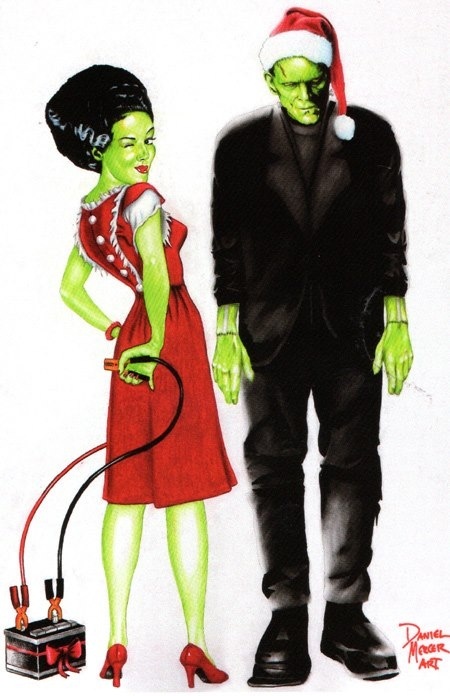 Alas, I’ve always wished that the film had been called The Bride of Frankenstein’s Monster. 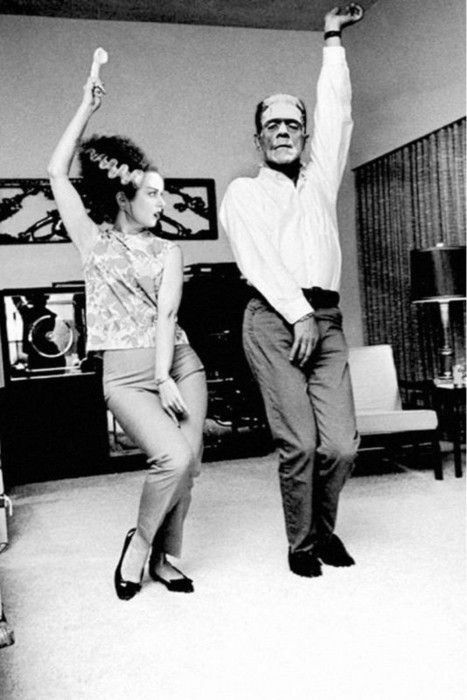 It still bugs me that the monster is called Frankenstein. He is not; the monster is a creature made by Dr. Frankenstein.